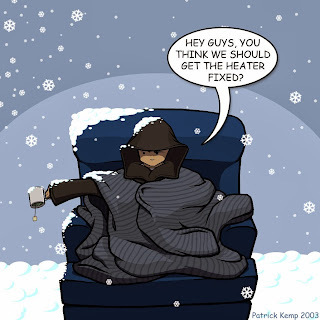 Super Savvy Mommy: Heater in Need of Help?! Who You Gonna Call? Heater in Need of Help?! Who You Gonna Call? A few years ago I thought I found the perfect house. It was spacious, it had visual appeal, it was affordable. My husband and I were very happy there and when the option to buy the house came up we started to think about it in a serious way. Then winter hit. The perfect vibe of the house quickly diminished when the heating went out time and time again. We had the repairmans number on speed dial and not a week went by that he wasn’t paying us a visit for a heater tune up, for a random repair or to give us bad news about how the heating unit needed replaced. We were distraught, when we leased the house we were assured that the heating and cooling unit was new, installed only a year before. That was true, but the way it was installed had voided the warranty. During one particularly cold spell when a storm dropped 28 inches of snow on the city the repairman declined to come to our rescue. That was the longest 4 days of waiting of my life. We were essentially stuck in a bitterly cold house. We resorted to hanging out in a small room upstairs and taking turns using the hairdryer to blow warm air over our cold bodies! I guess you can say I am nothing if not creative. After that episode we found a new service for our repairs, only to find the issue was not a bad unit, but a bad part which cost a mere $34 to purchase. We had heat again! It lasted the duration of winter without mishap or failure. Looking back on that experience in my life I realize how important it is to have a trustworthy service to rely on. If I lived in Texas I would have called Aramendia Plumbing, Heating, and Air for my heater tune up needs. But, I don’t live in Dallas, Texas and I learned my lesson the hard way about having the knowledge to get a second opinion and to have your unit serviced at the beginning of the season! omg!!!! obviously the first repair man had an ulterior motive. Geez!! !